Yesterday we posted an article about educational, yet fun, apps that can help kids stay mentally active this summer. Of course, it is also crucial for parents to encourage children to continue to be active physically as well as mentally. With the prevalence of technology use among kids and teens, it's a valid concern for parents to worry that kids could waste the summer away sitting on the couch playing video games. While technology use can contribute to lazy behaviors, it also has great potential to spark physical activity. Introducing: ibitz for kids! GeoPalz' ibitz is a wireless pedometer that incorporates video games into active play. Users are challenged with the task of taking steps to explore the galaxy through a rocket ship. The more they get moving, the more they are able to venture into space. This article was originally published by CNN and is written by Doug Gross. The wearable technology movement is in full effect, and exercise-based activity trackers lead the way. Now, it's becoming child's play. Leapfrog, the maker of education-oriented tablets and apps for children, has unveiled LeapBand, a wearable activity tracker designed with kids in mind. Selling for $40 and designed for children ages 4-7, the LeapBand "encourages active play and healthy habits" with 50 different games and other challenges. It will be available in August, the company said in a written release. No one ever said that raising kids was easy. Raising kids in the digital age presents a unique set of concerns and challenges that your parents never had to worry about. However, what you don't hear often is how technology can actually help keep your kids safe and sound. The advent of smartphones, GPS, and widespread Internet access need not only be a source of fear for concerned parents. These technologies can be used for parental monitoring and peace of mind. There are many examples that can highlight this, but perhaps one of the most exciting examples of this concept is the smart watch. Smart watches are the latest trend in mobile and wearable technology. New smart watches are in development from some of the biggest names in the industry. This is an exciting and cutting edge trend, but what value does it have for parents? Smart watches with built in GPS and cellular functionality present a great opportunity for parental monitoring. 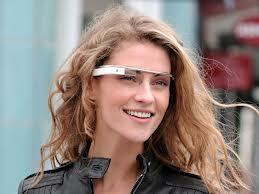 You will be amazed (and slightly creeped out) by what Google Glass has the capability to do now. As Google glass becomes mainstream, below is a real life example of how difficult it will be to maintain any form of privacy or anonymity. Parents have to be aware of wearable technology like this and the possible capabilities (good and bad). There is always a chance that these devices will be used to intimidate, threaten or manipulate children and uninformed users. This article is great because it provides steps they and their family can take to opt out of these kind of databases. Read on for the full text of the original article found on E! News. A new app will allow total strangers to ID you and pull up all your information, just by looking at you and scanning your face with their Google Glass. The app is called NameTag and it sounds CREEPY.